‘Guilty’ a new staple in my volcubulary, I am sure I don’t get through a day without saying it and have noticed that speaking to other mummies recently they feel it too. I am certain that when people talk about having a baby and that overwhelming feeling of love that comes with it, hand in hand guilt is there too, and if that feeling of love doesn’t strike instantly don’t worry guilt is still there and that will probably be the first reason for the guilt. 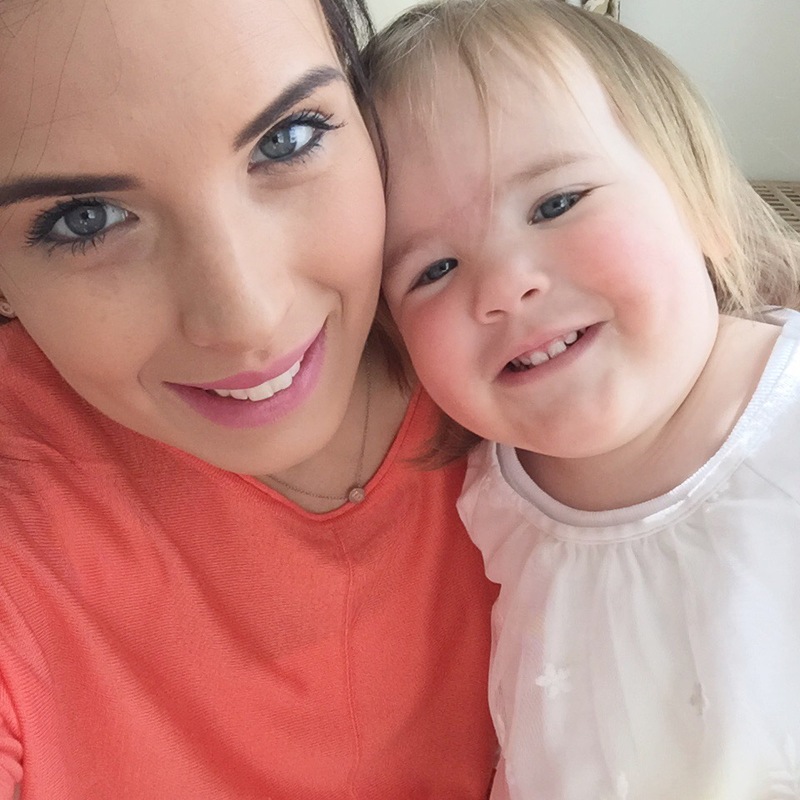 Feeling guilty for being a working mum and not spending enough time with your baby, the fear of missing milestones and still having to go to work when your little one is under the weather Vs Feeling guilty about being a stay at home mum and the fear of not setting a good example, putting your career on hold and sacrificing luxuries. The night before going back to work full time with Bella, I will never forget the feeling of thankfullness for the best year on maternity leave and the time with her but also an overwhelming feeling of fear and guilt. Feeling guilty that when your in work you have spent the last hour thinking about your sick baby at home, havent a clue what that conference call was about and that you are not giving 100% to your team vs being so engrossed in the conference call and realising you haven’t thought of your sick baby in the past hour… Bad mummy, do I not care? Feeling guilty that you are shipping your toddler off for a day to get some rest, cook a good dinner and clean the house vs feeling guilty for not sending them off for the day, being exhausted and useless to them anyway, the house is a state and its tinned soup for dinner. Feeling guilty for having another baby close in age and dividing child number 1s attention, feeling guilty for child number 2 that they will never get the same attention as child number 1. Oh and I’ll not forget if you don’t have another child that guilty feeling of not giving them a sibling. I see in this picture my glazed teary eyes as I sat on a birthing ball feeling guilty that this was the last night of Bella being my one and only. Feeling guilty for Breastfeeding and all the challenges that come with that while juggling a toddler vs feeling guilty for bottle feeding and all the challenges that can come with that. Today lying in bed feeling guilty that I can’t ease Annie’s colic, that it’s something I have ate, that I just don’t have the answer. I know you get the picture, I could go on all day long. So I am accepting that I will never not feel guilty, it’s engrained in me now and part of my DNA. The love my heart feels has doubled since having Annie and so has the guilt I feel. I don’t know what the answer to this one is but I am just going to try and go with my gut as my brain works overtime trying to decide what’s best (tiredness is sure stop this soon). I have just discovered your Instagram account and blog. 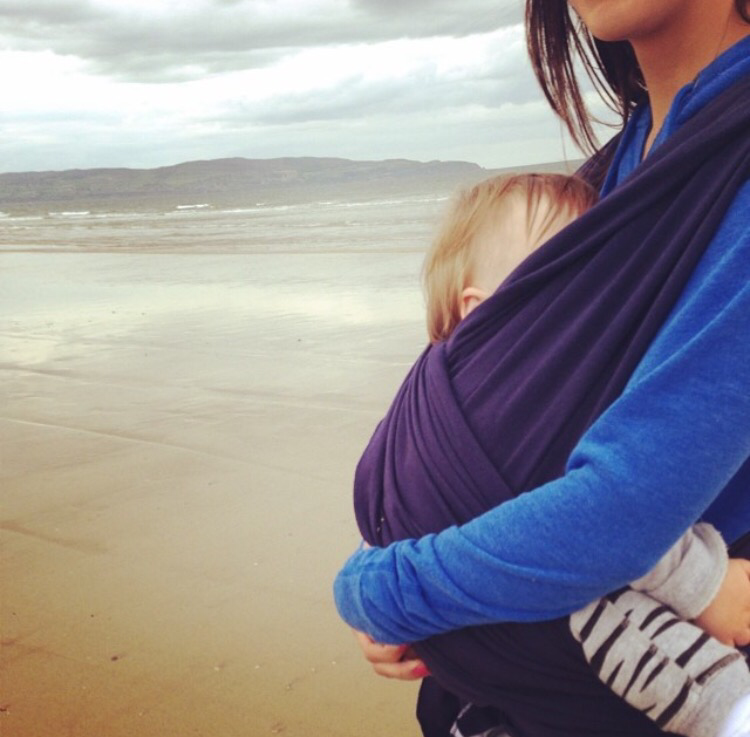 It is so nice and refreshing to read a blog from a working mother. I have retuned to work twice after maternity leave and it is hard trying to balance everything but you soon adapt to the new routine. My children are now 9 and 5 but they were 11months and 4 when I returned to work. It is utterly exhausting and there are times when working mothers guilt hits me but there are elements of working that I do enjoy such as the company, having time to think etc. I also enjoy that Friday feeling and value our weekends as a family. door so we can just get ready and go. You will do it and the fear is often worse than the reality. I have really enjoyed your blogs and I have come across many blogs for stay at home mums but few for working mum’s. I know both types of mums face their own battles and challenges but it is refreshing to read a blog from a mother who works.